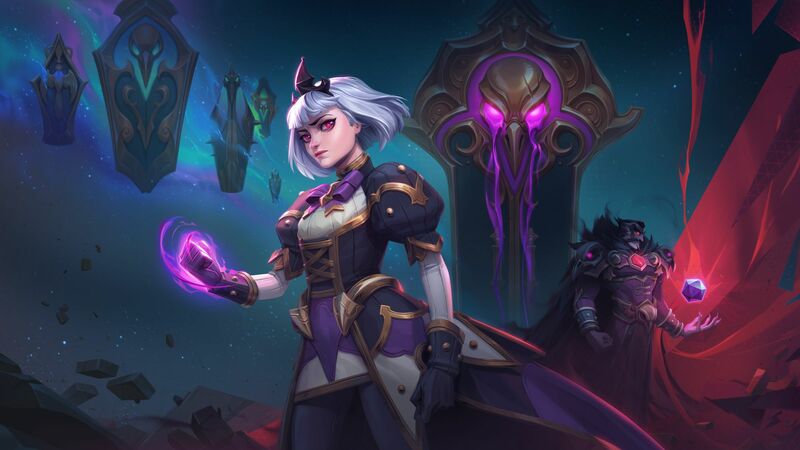 Blizzard took to the stage at this year's BlizzCon to announce that Orphea, the Raven Lord's daughter, was coming to Heroes of the Storm. For Heroes players who even know who the Raven Lord is there was a mixed reaction. For everyone else, there were blank stares all-around. Such is the uphill battle that MOBA producers fight as they attempt to inject more lore into a combat-centric game. For what it's worth I'm glad that Blizzard decided to try something new with Orphea, an original character, and I don't mean that just in terms of the scope of the Heroes of the Storm development team. Sure Overwatch is still fresh out of the oven, but Blizzard is the king of mining its own IP to excite its fans, a practice that's had mixed results over the past five years or so. Heroes is kind of the culmination of that concept, a "Blizzard All-Stars DOTA" that came a few years too late. Orphea kind of represents the daring of the Heroes team to unbind themselves from the shackles of fandom, and naturally that sort of statement has its own risks. For one, Orphea's kit is a little uneven, mostly due to a tug of war between Blizzard's worry of power creep and ambition. Her entire style is modeled around "dancing," which the fantasy only half achieves. Her Q, a line skillshot, allows her to swiftly move around as she hits enemy heroes, which gives off a sort of ballet/ice skating feel to it on top of the utility it provides. It feels cool, sure, but at higher levels of play it's much easier to dodge the telegraphed line shot, hamstringing her efficacy. Her W, which summons her chompy little demon friend to clamp down on a wide area in front of her, can be altered to provide a hop back of sorts but doesn't grant it baseline. Blizzard broke down this decision on stage at BlizzCon but I think the problem could have been solved with a key prompt that allowed players to hop back if they wanted after the ability triggers (a mechanic Blizzard has been moving away from). The issue is that for such a mobile character in theory a lot of her powers are best used while stationary. The lock-in-place base W is a prime example, but her E (another line skillshot that bursts into an area-of-effect) also feels passive, as does her actual passive that buffs her auto-attacks after using skills. Both heroics (ultimates) suffer similar fates, and only one of them (Crushing Jaws) gives her group utility while the other functions as decent (but easily countered) zone control that stops working as soon as enemies move out of its range. She's fun to use but there's an awful lot of stopping and stifled movement for what Orphea is supposed to be on paper. Strides are being made (she had some improvements this very week) but I'd like to see more before I work her into my rotation. I'm looking forward to watching her evolve over time and I hope that Blizzard is able to slot her into the meta. It would be nice to see her played on a pro level more but right now she's not faring so well, even in the highest Master leagues.